As the end of the school year approaches, parents’ top concern is likely signing up their little ones for swimming lessons, summer camp, or any of a host of extracurricular activities. However, before the final school bell rings, it’s also important to say thanks to their teachers. Educators often work long hours for low wages, and when you’re not around, they stand in as surrogate parents. Much of the growth and development you’ve seen in your child over the last eight months is due to the efforts of those teachers – and a small token to show your appreciation for their hard work is completely appropriate. A Pinterest search for “teacher appreciation gifts” yields everything from jewelry to fancy gift baskets filled with food and flowers, but you don’t have to spend a ton of money or time to show your thanks. There are plenty of great teacher gift ideas out there that only require a small investment of time and money. Gift cards may seem like a cop-out, but teachers love them. They’re a great way to show appreciation, and give cash-strapped educators a little shopping luxury the next time they’re out. While you could purchase a gift card for a school or office supply store, it’s better to be a bit more general. Both Target and Amazon gift cards are ideal, since teachers can get anything they need there, from groceries and books, to a new outfit or home décor. Even just a $20 gift card can go a long way. Certificates for fun activities are also a great option. For example, a gift card to a local movie theater may cost less than $20 for a package of two tickets, and a $20 gift card to an ice cream parlor or coffee shop can be used on multiple visits. Gift cards to restaurants or cafés may be perfect, as your teacher is sure to appreciate a night out. If you’ve been taking photos of your child’s class this year, or if the school regularly updates its social media accounts with pictures of events and activities, you can give a priceless gift: a scrapbook. Before you dismiss the idea as too labor-intensive, remember that scrapbooks don’t have to be elaborate hands-on affairs. Digital tools make it easy to compile the photos you’ve taken throughout the year into a mini-book that can be delivered right to your teacher’s doorstep. If you don’t have many decent pictures, try emailing other parents from your child’s class and request digital photos they may have taken throughout the year. Pictures of school trips, science fairs, and class activities are perfect. Then, use a site like Chatbooks to upload the pictures and create a book. For $6 you can get a 60-photo mini-book with every little memory preserved for your favorite teacher. Just because school supplies are a common gift for teachers doesn’t make them any less appreciated. In fact, many teachers pay for school supplies out of their own paychecks, so anytime you can stock the classroom with necessities, you’re helping to reduce that burden. You can buy a few items for less than $20 and still be a big help to a teacher. By thinking outside the pencil box when you give an end-of-year gift, you can be sure that you won’t overlap with some of the presents from other parents. If all else fails, ask your child’s teachers what they need most. You might be surprised by the answer. Teachers are usually so concerned with helping others that they don’t always take time for themselves. Offering a way for your child’s teachers to take a load off and relax shows that you understand how hard they work. Of course, the kids should include different items for a male teacher or a female teacher, but the concept is the same. Great places to purchase lower-cost items include the dollar store, the clearance section of your local drugstore, and bath and body stores when you shop sales or with a coupon. If you spend $20 to $25 you can easily come up with a number of fun things to include. When summer starts, it’s a teacher’s turn to relax. Kick things off by buying a low-cost beach bag, which you should be able to find for around $5, and fill it with the stuff that your favorite teachers need to enjoy the warmer weather. You can expect to spend $6 on sunscreen, $3 on a magazine, $10 on a beach towel, and $1 for a bottle of water, putting your grand total at around $25. If you’re willing to spend more, you can add in something like an Amazon gift card, a reusable water bottle, or even a few tropically scented bath and body products. Just focus on summer as the theme and you can create a bag that’s jam-packed for a trip to the beach, pool, or even the backyard. If you’re looking for a way to avoid the usual gifts, a summer herb garden is a functional and beautiful gift that foodies and gardeners alike should love. Start at least four to six weeks before school is out so the plants are well-sprouted and hearty by the time you give them as a gift. Pot the plants by getting a few small terracotta pots and a long, shallow dish to hold them. Then, head to a garden center to pick up indoor potting soil and packets of herbs such as basil, rosemary, and oregano. Pot the seeds using wooden sticks to label each one. The entire project should cost less than $20. Give the gift with instructions – include where to place the plants in the home and mention that they need plenty of sun and water. Your favorite teachers should enjoy a summer full of fresh herbs, perfect for barbecues and salads. Elementary teachers often decorate their classrooms with the same theme again and again. This might be a specific animal, a color palette, or another type of decor that brightens the setting and makes it more inviting to children. If you know your teachers plan to stick to the same general theme, try and find items that match their decor. Items including posters, wall hangings, curtains, or cushions all brighten up a room. You can easily spend less than $30 and help teachers make their room a place children love to call home for another year. If you want to purchase a more expensive gift, it’s fine to pool your resources with a few other parents. Send out an email and ask if anyone would like to help you purchase a bigger-ticket item, such as an iPad, a new bookshelf, a library of age-appropriate books, or anything else you think your kids’ teachers may need. If you choose to pool money, you don’t have to worry about wrangling checks and cash. Use a site like Deposit a Gift as a way to raise and collect money from those parents who want to participate. In many cases, having parents pool their money for one extremely useful gift is much better than receiving several trinket gifts that may not be particularly useful. Gifts are great, but if money is really tight, a thank-you note from you and your child can be just as valuable as a gift card. Take time to make it truly special – work with your child to identify a few things for which you’re both grateful. Perhaps teachers took extra time with your children when they were struggling in math, or perhaps they were able to make science more fun. Acknowledging their specific contributions to your child’s life is sure to warm their heart. A thank-you note can be especially effective coming from a teenager. High school teachers don’t always get the thanks they deserve, so encouraging your teen to write a heartfelt card can make all the difference. If your budget allows, include a box of chocolates or bunch of flowers with the letter. Mugs. Teachers usually have plenty of their own, so while mugs are a budget-friendly choice, they’re not always your best bet. Knickknacks and Ornaments. Unless a teacher collects a specific type of trinket or ornament, it’s best to avoid them. These items may collect dust or be re-gifted. Homemade Goods. Today, many schools ban homemade goods such as cookies, cakes, and brownies due to food allergies and food safety concerns. Even if you know your teachers well, they have no assurance that the goods were baked in a healthy, clean, and safe environment. Teachers don’t ask for a lot. In fact, they’re usually more focused on their students than themselves. 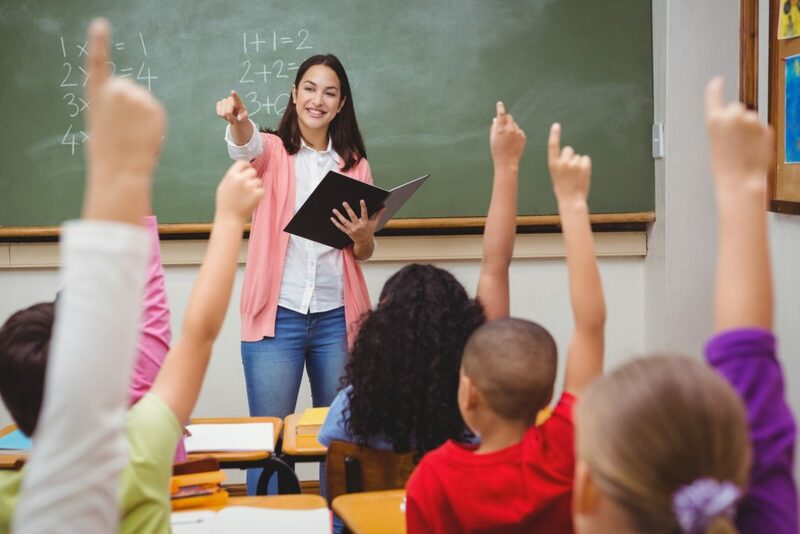 While teacher appreciation gifts are not necessary or expected, they are the ideal way to make your child’s instructors feel loved. Don’t be overwhelmed when you read about elaborate crafts and expensive gifts. Instead, choose something thoughtful and express true gratitude when you give it. Do you give teacher gifts at the end of the year? What’s your go-to gift?